Medical records are the baseline of a medical malpractice case against a health care provider. They will tell a jury exactly what was done. With that in mind, getting these records is a must for your case. When your medical care is at issue, the steps that a reasonable doctor would take under the circumstances will help determine whether you are able to receive compensation for any harm that you have suffered. Your medical records will form the basis for your case. An expert witness can go through your medical records and point out in court the ways in which the medical provider may have been negligent in your care. Medical records will objectively state exactly what care was provided. If a medical provider knows that you are about to file a suit against them, they will likely not be as cooperative about giving your medical records to you. It is best to obtain these records right after you receive the medical care that will be at issue in any claim. 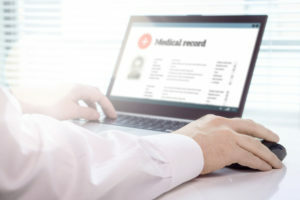 Since providers are under an obligation to share your records with you, they will not be able to take any steps to slow down the process and you can immediately get your medical information to your lawyer. If you wait until a dispute has started, you will have to go through more steps to obtain them. Las Vegas injury attorneys can still take steps to obtain your medical records even if the provider is delaying in giving them to you. For example, they can make a request directly to the hospital, who must legally hand over your medical records. In addition, they can obtain them under subpoena from the provider. While this will possibly delay your case and add another element of legal uncertainty, this is still another way where you can apply pressure to obtain your medical records.